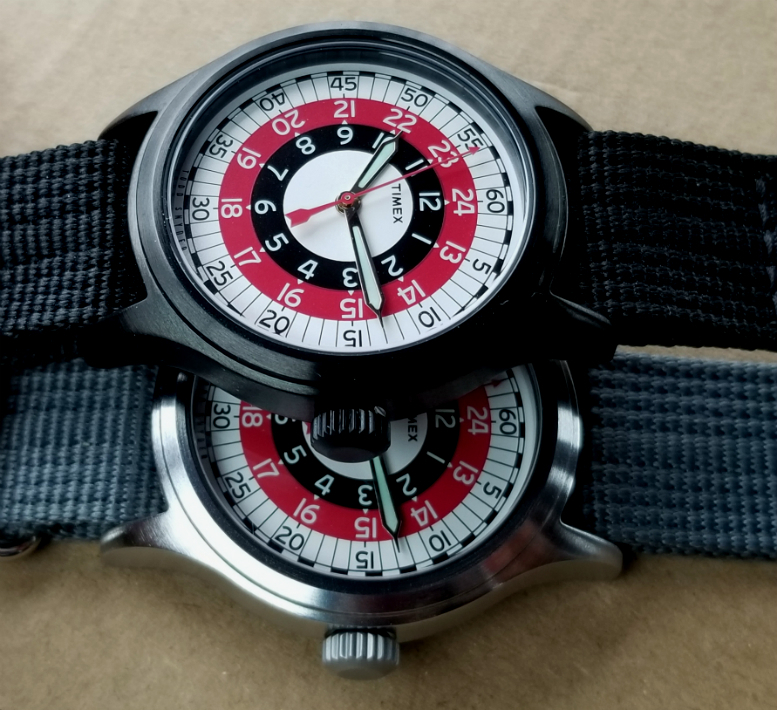 Timex x Todd Snyder Mod Watch In A Black PVD Case. 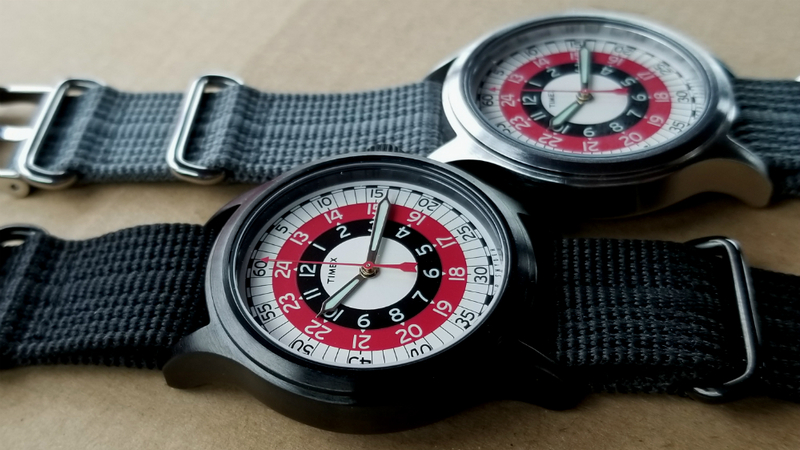 This page will be mostly pictures showing two watches which are nearly identical, but have different case colors/materials (and straps). Briefly, the Timex Mod Watch comes from the factory in a wonderful steel case. 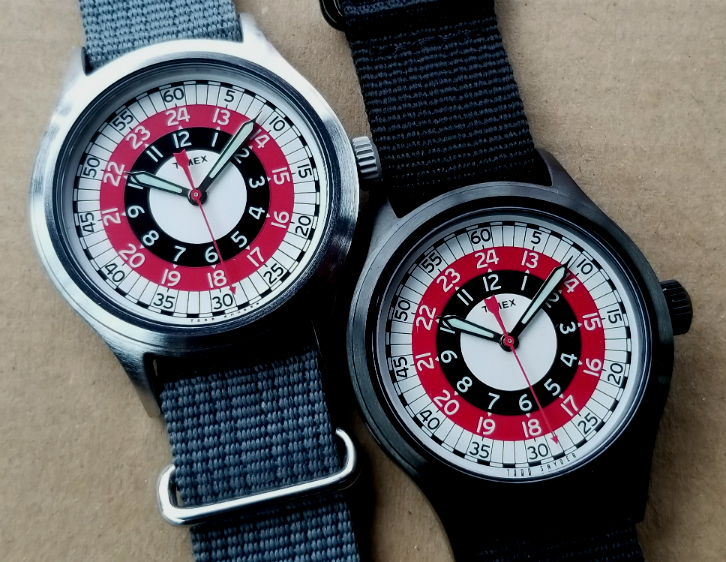 I had two Mod watches and used the dial/movement assembly from one, and transplanted it into the black case of a Timex Blackjack watch. This case is PVD coated, and the coating really looks excellent. If you want to learn a lot about this procedure, and see numerous detailed pictures, please visit this page. I'm sorry some of the photos suffer from geometric distortion. I used a phone camera, which are all inherently wide-angle, and the watch furthest from the lens in some pics looks slightly oval, rather than round! 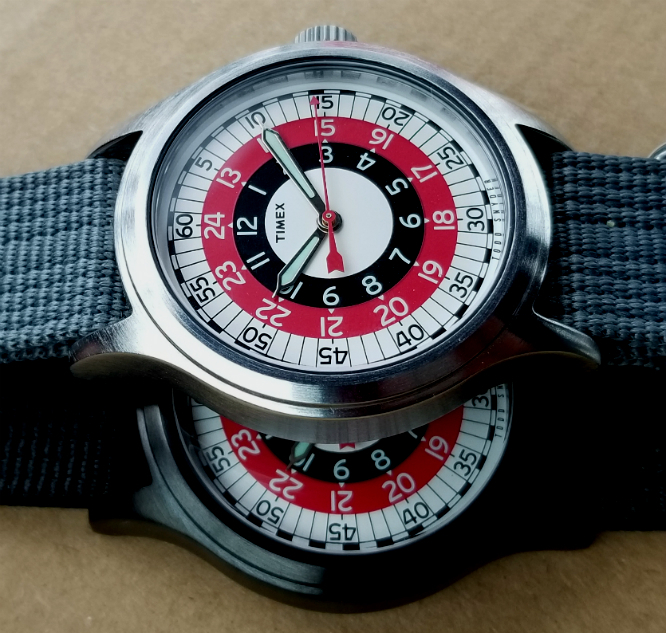 I was surprised by how much I like the looks of this watch in a black case. 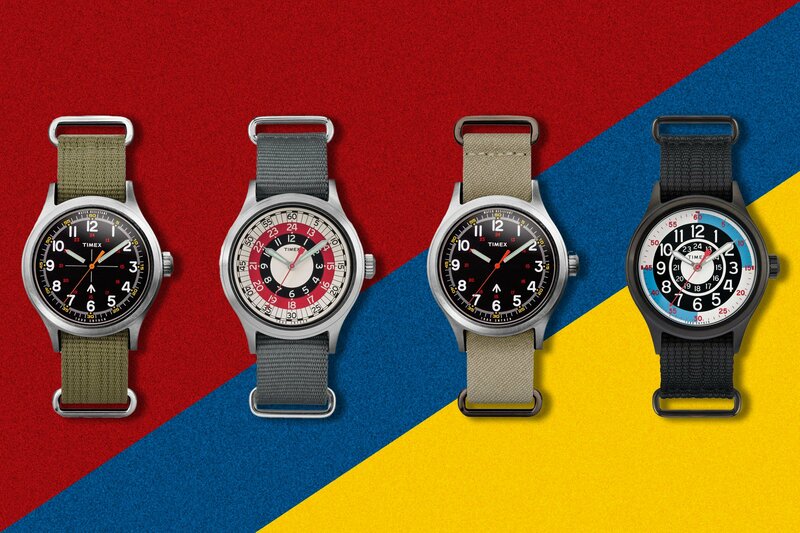 It's not at all the conventional "iconic" look for this watch. If it were not for the black ring centrally in the watch, it would look kind of anemic. But with the black ring, it has a bold balanced look to it. Ok, no more words, here are a few more pictures, thanks. 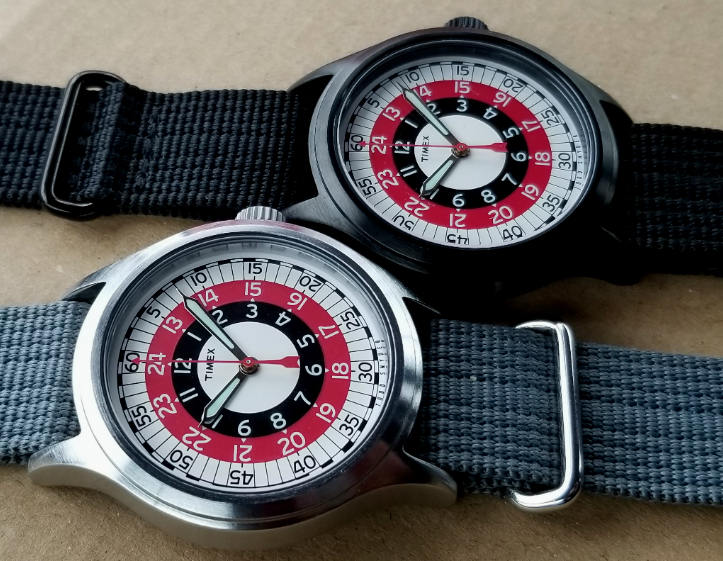 Timex x Todd Snyder Mod Watch!